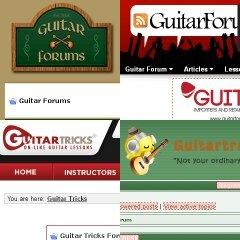 Among the helpful things that can aid you in learning guitar (no matter whether you’re a newbie or a pro) are various online guitar forums. You can visit them whenever you want to get some answers to your guitar questions, or when you are in the mood of sharing your knowledge with others (which is even better). But whatever the situation, guitar forums are always there to be of service to you. I made a list of guitar forums with brief profile descriptions that I think might be worth having a look at. The Guitar Forums website is one very active web forum. 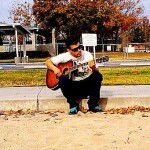 Members discuss many topics that basically focus on the guitar instrument itself, all sorts of music and genres, guitar playing skills, studio stuff and guitar gear. 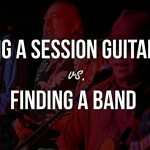 Moreover, you will find topics on guitar techniques and styles, as well as discussions on songwriting, music theory, recording sound clips, jam clinic for lead guitar, jamming and collaboration, guitar amps, effects, bass guitar, technical information and many more. This community is well populated having the sum of over 22,100 members. And so the average replies you might get in a new thread would approximately be around 5 to 15 posts. 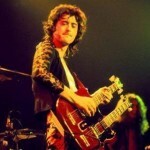 Here’s a forum that mainly talks about guitar and music (pretty obvious, I know). They have topics about guitar musical competitions, guitars as a general subject matter, guitar gear (the best or the worst), guitar set-up and repair, bass guitar, vocals, other instruments like piano, keyboards and drums etc., instrument amplification, effects and processing as well as your favorite guitar players. The total member population in this forum community is over 4,000. And so the average replies that you would probably get in a new thread would be around 2 to 10 posts or more, but really depends on the topic. Guitartrade.org is definitely not your ordinary guitar forum. Why? Well in my opinion, it’s a fun web forum considering that it features and discusses not only guitars, but cool and funny stuff too. Plus their icons are stylish and attractive! They have boards for Front Desk (just like a reception area), Community, Playing and Creativity, Guitars and Equipment as well as for other miscellaneous topics. Some specific topics cover music business, music talk, music theory, song analysis, different artists and bands, guitar videos, technical stuff, mixing/mastering/recording tips and so much more. The forum has a population of over 4, 400 members in total. And the average replies that you might get in a new thread will roughly be around 5 posts, more or less. I’d say that the people here are a bit selective or they might just be more of a reader type. 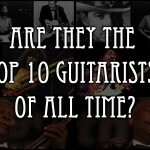 Who is your favorite guitarist, and why? Well, this forum is just a bit different from other guitar forums on this list. 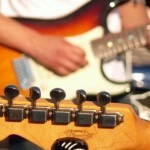 It is a part of a bigger platform – guitartricks.com, an online service that offers guitar lessons. But there’s also a limited access account you can get if you register on their website. The topics you will find on the forum mostly talk about guitar basics, techniques and styles, music theory (scales, modes etc. ), songwriting tips and ideas, recording, tone and effects, gear discussions, gear reviews, famous bands and artists, a musician’s life and more. It doesn’t say how many members they have in total, but you can definitely see that there are a lot of guests coming in and out of the forum as well as active subscribers who are participating in the discussions. So the average replies that you will probably get for a new thread would range between 2 to 5 posts. So these are four guitar forums that will definitely be a good source of additional insights for you as a guitarist. Just remember to observe proper forum ethics and follow their rules and regulations. In short, be respectful and nice to everyone. 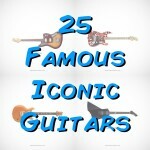 Finally, I hope this list will serve as a good start for you in meeting people around the globe having the same interest towards guitar and music. 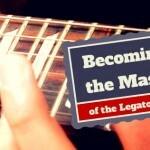 And together with the rest, you can grow, learn and master the art of guitar playing more effectively.